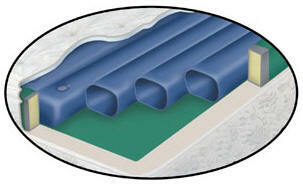 Somma Replacement Tops for Waterbeds - We offer a full selection! 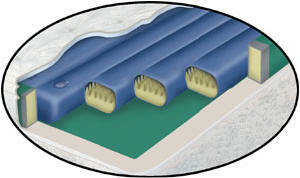 All Comfort Craft beds can be purchased with air chambers, the waterbed mattresses or the tubes kits below! Tablet Conditioner extends the life of your tubes by keeping the water algae free and the tubes soft and supple to reduce the chance of the tube from cracking. Reduced Motion Foam Cylinder Provides Waveless Support. natural curves for healthful support. FREE Flow Cylinder for gentle motion flotation support. FREE Shipping to Continental US! 5 Year Replacement Warranty! Available Sizes - Only $23.99 Each (any size - 2 tube minimum order) FREE Shipping to Continental US! Available Sizes - Only $39.99 Each (any size) FREE Shipping to Continental US! Available Sizes - Only $39.95 Each (any size) FREE Shipping to Continental US!